Need to call a tow truck in Livingston? When your car isn’t working right and you still have a long way home, it might make you panic. Calling a towing company could be the last thing you want to do because of the reputation many towing companies have for ripping off people in need. 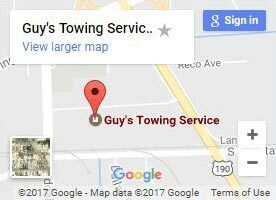 At Guy’s Towing Service, our reputation is different.We’re widely known as a helpful towing service company that does whatever we can to help the community. Our goal is to get everyone home safely to their families, and when you call us for a tow truck in Livingston, you’ll notice the difference right away! Do you have proof you’re different? We claim that we’re different, but you don’t have to take our word for it! Ranking over 4.5 stars on Google and Facebook, customers are impressed by our fast and friendly service and low prices! Basic towing equipment not enough? Try our heavy duty tow truck! As the largest towing company in Louisiana, we can handle anything the Pelican State throws at us. And for the biggest jobs, we bring in the biggest trucks around. Have a semi truck or trailer? We can pick it up for you without a problem! Our airbag recovery system can safely right tipped semi trucks and cargo. Stuck in the water or in a deep ditch? With our 60-ton crane system, our heavy duty tow trucks can recover your vehicle from any situation! Need cargo delivered when your truck stops working? We also have Landoll trailers and do specialized hauling to help get your cargo where it needs to be! How do I know which truck to ask for? Worried about whether to ask for a light, medium, or heavy duty tow truck? Don’t be! Our Wreckmaster trained team will handle that for you. 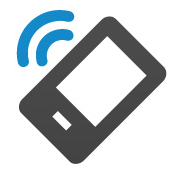 Simply give us a call and tell us what happened and where your vehicle is located. We’ll decide which truck fits best and send it right over! Have an emergency? You don’t have to wait until the next business day! 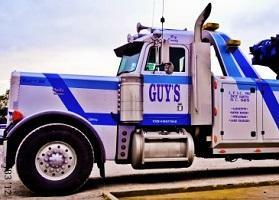 At Guy’s Towing Service, every day is a business day. We know that accidents or emergencies can happen anytime. That’s why you can call us for a 24-hour tow truck anytime you need it. And you won’t deal with stuffy employees that act like they don’t want to be there. Our valuable team always treats you with courtesy and respect. This includes giving you a realistic response time based on where are trucks are currently located, so you aren’t left wondering where we are. Don’t settle for a tow truck in Livingston that gives you less for more; choose us for better service for less! Just need a small boost? Along with towing, our tow truck operators do roadside assistance too! For small issues like a flat tire or dead battery, we’ll always try this first. Our team is ready and waiting for your call! Once you decide to use our one of our tow trucks, call our office. We’ll send out a truck based on the details and your specific needs. Our friendly team will be there shortly to hook up your vehicle!